The Kodiak Canvas Flex Bow Tent is one of the best designed tents I’ve ever camped in. 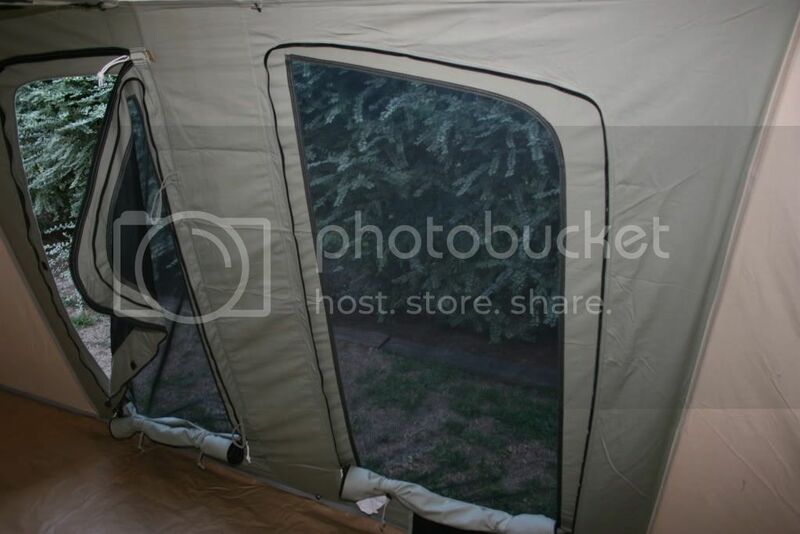 My friend bought one of these and I was skeptical because of the high price, but after spending a stormy camping trip in it I can honestly say that it was worth every penny and then some. It is a four season tent that will last for decades. The one I stayed in was the eight person variety. 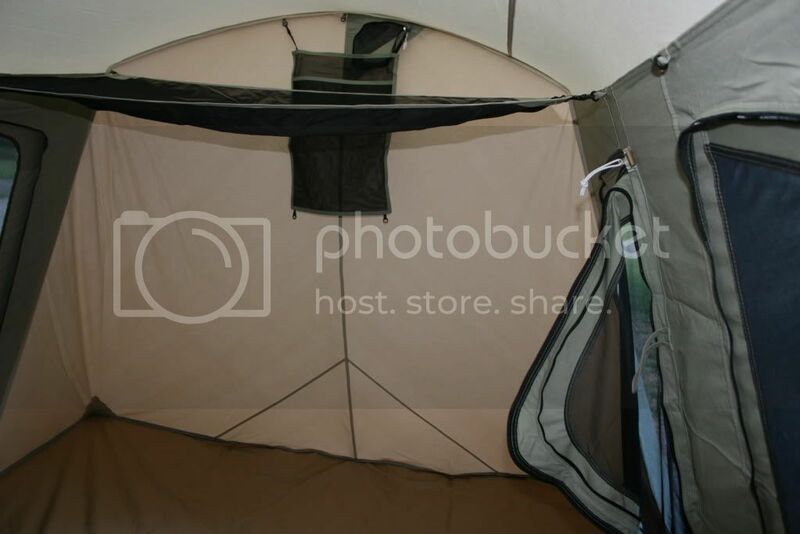 It is also available as a 6-Person Tent and a 4-Person Tent . Both the eight person and the six person have a lofty six foot and six inch height. I believe the four person is six feet and one inch. We never had to stoop or kneel while inside. The eight person’s footprint measures ten feet by fourteen feet giving plenty of space to sleep the eight people that the manufacturer claims. I have no doubt that the other models measure appropriately for the amount of people they are supposed to hold. The awning is four feet by seven feet providing plenty of shade to hide from the sun. It features the best weather resistance of any tent I’ve used so far. It is made from one hundred percent cotton duck Hydra-Shield canvas. The custom woven canvas has a silicone treatment that keeps the water out while allowing the tent to breathe. We managed to keep dry in some pretty heavy rains. There wasn’t even a drop inside the tent. The treatment used on the exterior is superior to synthetic fabric tents or lesser treated canvas tents, as it lets the water vapor escape. Which means there is no condensation on the inside of the tent and humidity is reduced greatly. The odds are that the Flex Bow will never need to be retreated. This tent will last years longer than most. The frame is made of one inch galvanized steel, so you know that it is very strong and sturdy. There are two well placed vents that provide good air circulation to help minimize stuffiness and cool things off a bit. There are four huge meshed windows as well. The mesh is made so it is hard to see though from the outside similar to car tint. This tent was made with year round use in mind. The windows easily close to keep in the warmth. Setting up the Kodiak is very simple. It can be accomplished easily by a single person. Although a second person may make it just a little easier. Putting the tent away is my favorite part. Sounds weird I know but instead of trying to stuff it into a bag the bag that holds the tent lays out flat and you place the folded tent on it and then roll the bag closed around the tent. This is genius! The large doors make entering the Kodiak a bit less hassle than most tents. There are small hooks throughout the interior for hanging items, hanging the gear loft, or even putting up a divider. This tent actually comes with high quality stakes which is quite rare these days. Camping in this tent will have all the other campers envious. It will stand up to bad weather throughout the seasons and will last for decades. Pick one up from Amazon today! Free shipping is often available.